Peter Diepenbrock, photo by Scott Lapham. 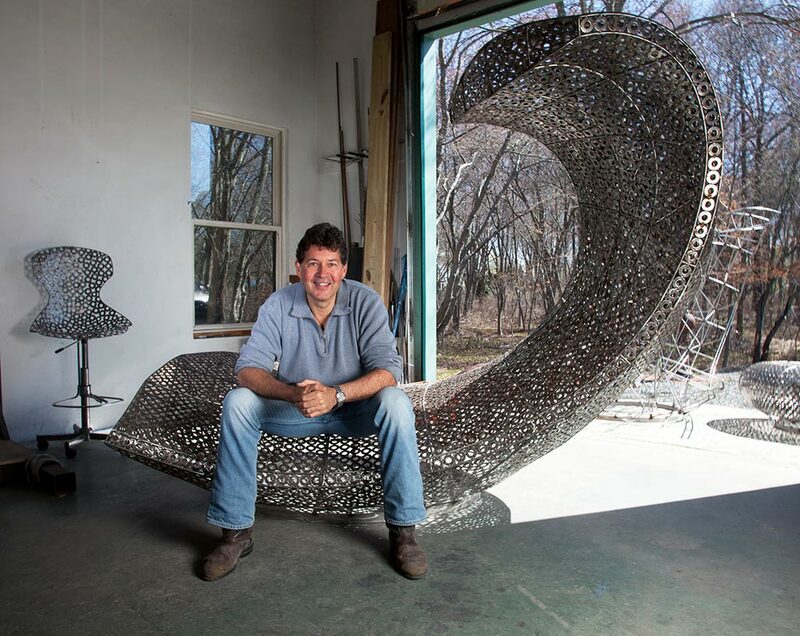 After graduating from the Rhode Island School of Design in 1984, with two degrees in Industrial Design, Peter Diepenbrock launched his sculptural career. He simultaneously supported his studio, producing limited edition furnishings and tabletop functional objects. While designing for his private label TROY, as well as Dansk and Umbra, Diepenbrock’s sculpture continued to develop. His practice shifted to full-time commissions in 2002, with the completion of his first significant one, the 9/11 Memorial for the Rhode Island State House. Subsequent site-specific and public art projects followed, including private and corporate installations. ‘The Practice of Spatial Reasoning’ is how he describes his process which “blends the concept development of industrial design, a deep concern for high craft, an interest in space, place, and site, a sculptor’s sense of form, a poet’s use of visual metaphor, and an engineer’s grasp of structure.” Originally from Sacramento, Diepenbrock lives and works in Jamestown. 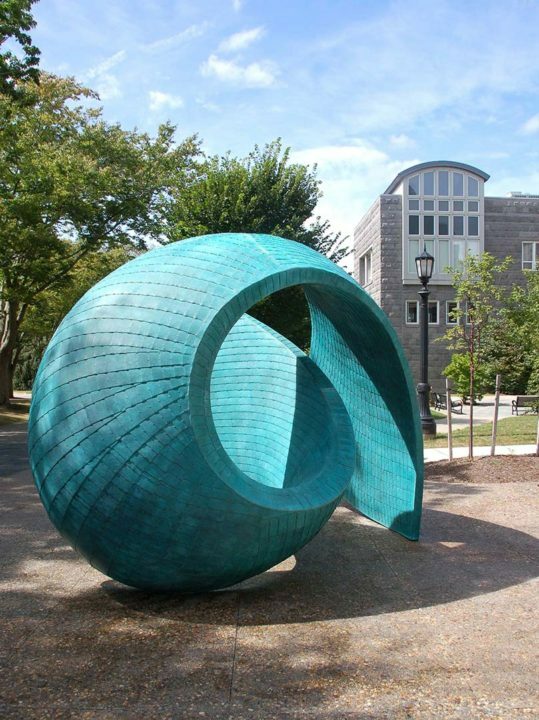 Silicon bronze, 114 x 168 x 132 in.